Virtual Reality is on the rise, and impacting the way we do business. VR headsets are in more demand than ever before. Venture Beat reports that 6.3 million VR headsets were shipped in 2016. Samsung, Playstation VR, Google, Oculus and HTC all sold millions of the device within the last year. In April, VR was the number one talked about tool for storytelling at the National Association of Broadcasters Show. Forbes reports that VR is the ultimate storytelling platform and emotion creator. The rising interest is presenting new opportunities for presenters in all industries. 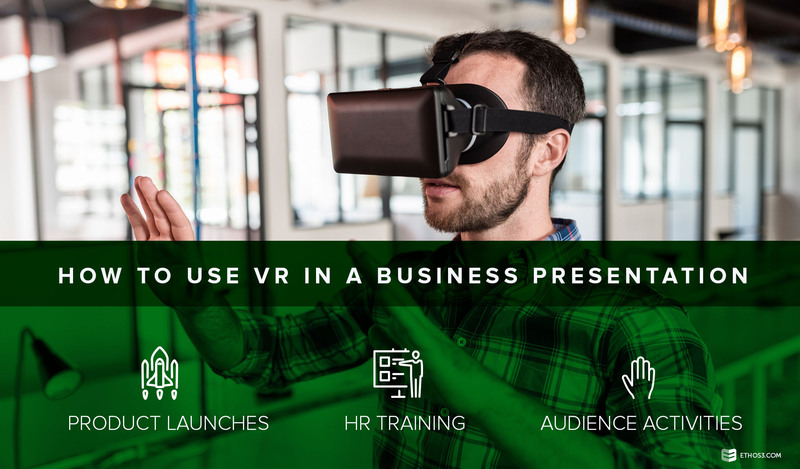 We are going to take a look at how you can use VR in a business presentation. Do you have a vision for a neighborhood built completely out of energy-efficient materials? Or have you developed a new piece of technology to help minimize the time it takes to perform a surgery? You can increase your presentation impact by showing your audience your vision with a VR headset. Imagine giving a tour of your energy-efficient neighborhood with your entire audience, all with the help of VR. Or let your audience take control of you new technological tool in a simulated operating room. VR headsets can better demonstrate your ideas from your business presentation during a product launch. If you are giving an internal presentation for a training course, VR headsets can help with modules and activities. You can put your employees in the situation they need to learn how to react to, all while staying in the same room. VR is not a tool just for fun and games, but for educational purposes too. Based on the mock situations performed through VR, you can test your employees on what they learned and evaluate their performances. Are you looking for an exciting way to entertain your audience at a conference or workshop? Bringing a few VR headsets should do the trick. 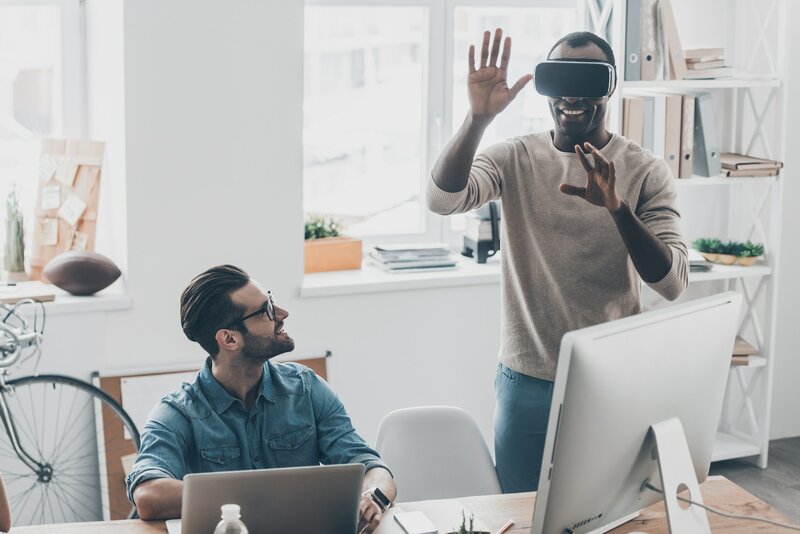 Take a break from all the informative content in your business presentation, and create fun activities for your audience to do while wearing a VR headset. This popular technology should be enough to draw in a line of people to attend your presentation at any event.